As a result of the ever decreasing space in my bedroom, I had to downsize my drum set. The Floor tom was converted to a kick drum using some 10mm steel round stock and some 40mm Pine I had lying around. The Steel was bent to shape with a vice, hammer and brute force. A groove was milled in the pine to catch the rim of the tom, and was fastened to the kick pedal. This conversion is completely reversible. The new setup occupies very little space. 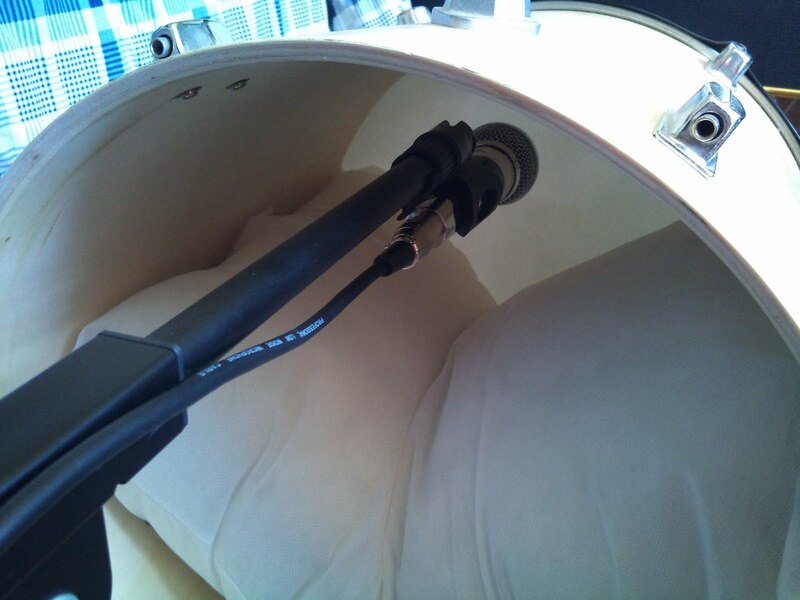 After a bit of experimentation, I found that the tom-kick sounds best without a resonant head, and to mic the batter head from inside. Use a pillow to deaden the batter head.